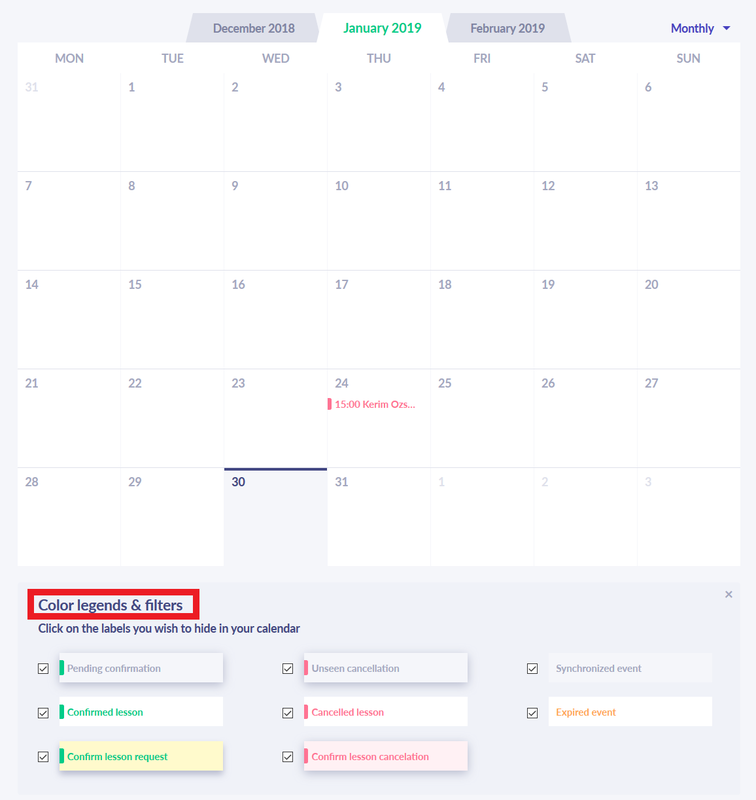 The colors on the calendar indicates the lesson status. Green color indicates the confirmed lessons. Red color indicates cancelled lessons. Orange color indicates pending lessons. The picture below shows the "Color legends & filters" button where you can find the detailed information about the colors.